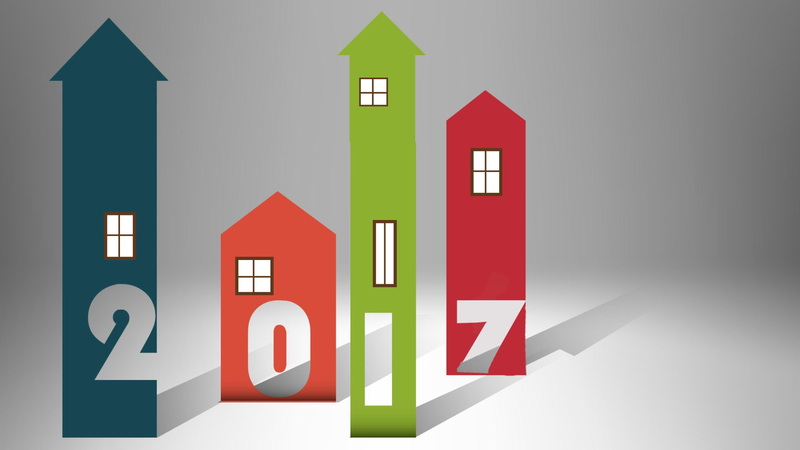 Lots of changes can be observed in the real estate market with the commencement of year 2017. Real estate can act like a rocket fuel for the market. 15% of the GDP can be defined through housing. Lately, heavy lifting has not been noticed. It is believed that the bubble of real estate is set to start to anytime soon. However, rules and regulations related to the lending are pretty hard till now. Careful builders may not take the plunge right now as they have already gone through a crisis in the recent past. Signs are there that things may start to change from the year 2017. Following new housing trends for 2017 can be observed. Federal Reserve has enhanced interest rates from the month of December, 2016. According to the statistics it may be only second time when the rates have been increased by the authority after the year 2006. Further increase in the rates may be expected in 2017. These predictions have been done by the board members for Fed’s. Therefore, homebuyers may able to purchase a home. Dream of having a home can be fulfilled in the process. Interest rates for mortgage are expected to boost up at the same time also. Still, it may not be higher. Previously, it has been noticed in the month of November that the realtor has been backing out from housing projects. Still, overall scenario related to construction can be considered positive. Remarkable annual rates average has been observed here with 1.163 million. Therefore, you may see that it has boosted up by minimum 5% with 1.108 million in the year 2015. Similar rate of enhancement can be noticed in the year 2017 too. Looser credit, higher wages and demand in the market may influence the buyers to build more homes. If you look at the stories of economic recovery then you may able to discover the fact that people have been moving to the cities like San Francisco, New York and Seattle in order to take advantage of good jobs in spite high prices. Still, the event has created an impact over the real estate of these cities. It has become quite hard to manage the demand. Restrictions from government and geographic constrains can be main reason behind it. Due to this reason, young people have been moving to cities with mid size. Similar professional opportunities may not be noticed at the time. However, it offers certain amount of affordability that cannot be forgotten ever. Asking price of low amount and cheaper rates has noticed also. Influx of foreign buyers has been noticed in the market. These buyers are not concerned about the issues of affordability at all. Multiple buyers from China have been noticed that have been trying to store their wealth in a new location for security. Financial policies of several foreign countries may be the reason behind the movement also. Further rise in the market may be continued in the future too.